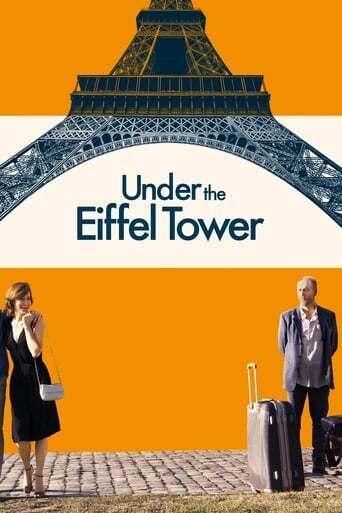 Under the Eiffel Tower is a coming-of-middle-age tale that follows stalled bourbon salesman Stuart (VEEP's Matt Walsh) on a journey across the French countryside after a heart-crushing break up in Paris. Just when a life crisis threatens, a possible romance blooms with a local wine saleswoman (Cesar-nominated actress, Judith Godrèche). Also featuring a notable ensemble cast including Reid Scott (VEEP), David Wain (Wet Hot American Summer), Gary ... (weiterlesen)Cole (Talladega Nights), Michaela Watkins (Casual), and Dylan Gelula (Flower). Uns sind aktuell keine Sendetermine für »Under the Eiffel Tower« bekannt. Wie fandest du »Under the Eiffel Tower«?